Yesterday. Up at 6:00, train to London, underground to Hammersmith, walk to Charing Cross Hospital from the station. Arielle was exhausted by 8:00 am, as was I. Clinic 8 for blood work, then onto Radiology for the CT and MRI scans. An hour and a half later, with both tests completed, we are back in Clinic 8, waiting to see the doctor. Another hour and a half passes and we’re still waiting. In all fairness we didn’t have an appointment and were being squeezed in so, it’s all good. Sitting in Clinic 8 (a cancer clinic) for a few hours is an enlightening and humbling experience. All of these people have or have had, cancer. Old, young, black, white, male, female. Muslim women dressed in traditional head to toe Hijabs. Sheikh men with beautifully wrapped turbans. An older British man dressed in an off white linen suit, with a beautiful straw hat and tortoise shell framed glasses… all sitting, looking off into the distance, waiting patiently. All waiting for their turn. Waiting to be told, based on the latest test results, who’s winning the battle; them, or cancer. Cancer does not discriminate. It is an equal opportunity destroyer. He goes onto to explain that this is not necessarily bad news…. This is what I heard: Imagine a round mass. Let’s say it’s about 20 inches in diameter. Imagine about 1/3 of this mass is made up of horrible, yucky, cancerous cells. That would leave 2/3 of the mass made up of non-cancerous (or differentiated cells.) Theses cells are not cancerous, but they’re not healthy, normal, nice cells either. These differentiated cells are not effected at all by chemotherapy, so they continue to grow and thrive even after treatment… this is why the overall mass is larger. However, (and this is the good part!) 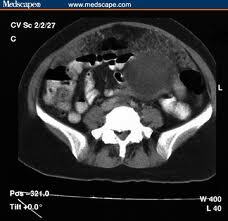 the 1/3 of the mass that is cancerous, appears to be smaller in size than it was on the original scan!!!! …which would indicate the chemo is actually working on the section of the mass that is cancerous!! I am cautiously optimistic, but have not bought into this hypothesis 100%. There have already been a few ups and downs in the last 6 weeks and frankly I just don’t think I could handle another big disappointment. So I will wait. Within 72 hours or so, our story will take a turn and go one way or another… and we, as a strong, loving, determined family will deal with whatever the outcome is. I just can’t help wondering about the older British gentleman with the off white crinkled, linen suit and the beautiful straw hat… How did his visit to Clinic 8 turn out? Who will he share his news with? Since I read your last post, I’ve been visualizing Ariel’s body attacking the cancer cells, several times a day. Now I can be more specific – like a Pac-Man shape of good cells with the mouth area the bad cells, destroying them and becoming whole. Pac-Man always wins in the end! You are right! Pac-Man always wins!!! I so love you! I often wonder – what is worse? The bad news or the wait for any news? Of course, looking back, the bad news is always worse, but the wait is horrible when you’re going through it. So sorry you are having to go through this yet again.